I love sweet snacks & desserts, but I try to avoid anything store-bought or pre-packaged. For me, it has to be homemade so I know exactly what’s in it or more importantly, what’s not in it: refined sugar, white flour, tons of butter & oil, hydrogenated oil or trans fats, preservatives, refined soy products, etc. I’ve been experimenting a lot with healthy baking up at the cottage, and the other day I used spelt flour to make some healthy cookies. Spelt is a whole grain, and is higher in protein than other types of wheat. It’s most commonly used as flour, but you can also buy spelt flakes to make cereal (similar to oatmeal) or spelt pasta (a good alternative if you don’t like the taste of whole wheat pasta). Spelt does contain gluten, but is well tolerated among the gluten-sensitive folks. It has a sweet, nutty flavor, which makes it perfect for baking cookies, bread, or pizza dough (I have a great recipe I’ll be sharing soon!). It’s become more common lately, and is available at bulk food stores. Mix the dry ingredients in a bowl and the wet ingredients in a separate bowl. 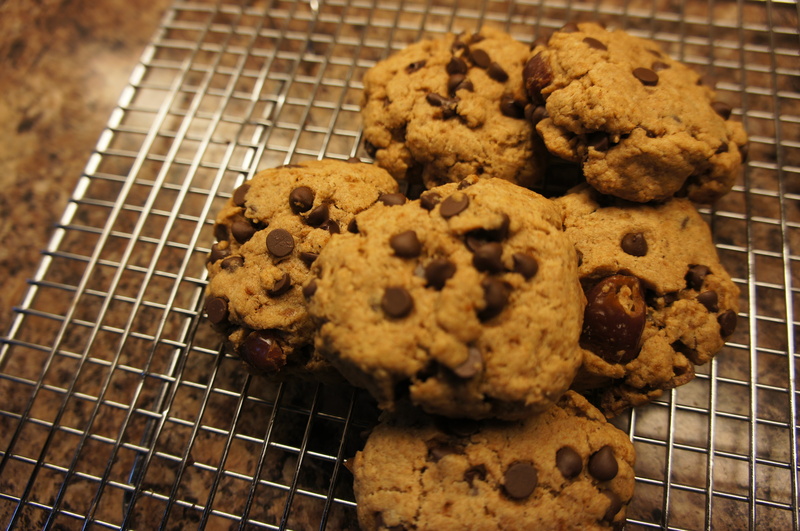 Mix the wet into the dry and add in the dates and chocolate chips (my batter didn’t stick together in one big ball). Roll batter into balls and place them on a baking sheet – flatten with your hand. Remove from the oven, and let cool for 10-15 minutes – Enjoy! 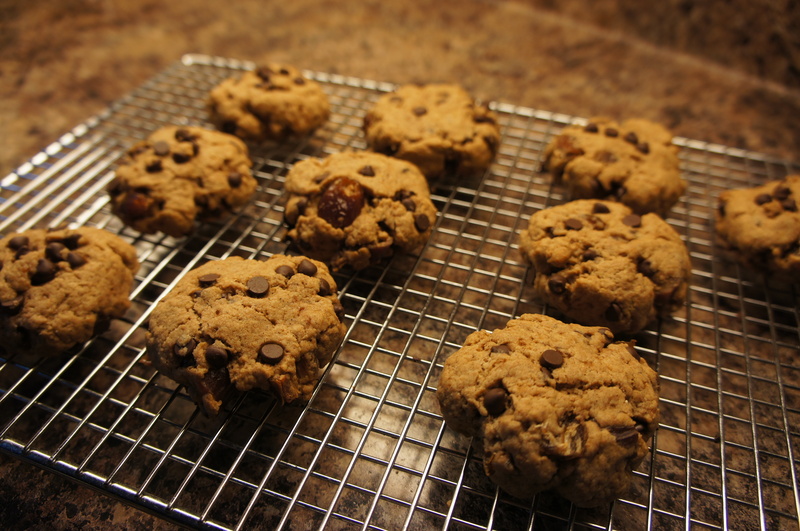 Tip: freeze your batch of cookies to preserve freshness, and to avoid grabbing more than one for dessert!